အုန္းသီးဟာ လူေတြ အတြက္ ေကာင္းမြန္ ထူးျခားတဲ႔ အစာ တစ္မ်ိဳး ျဖစ္ပါတယ္. အထူး ျခားဆုံးက လူ႔အသက္ကိုေတာင္ ကယ္တင္ ႏိုင္စြမ္း ရွိတဲ့ အသီး ျဖစ္ပါတယ္. အုန္းသီးဟာ ေသြးတြင္း သၾကားဓာတ္ကို တည္ျငိမ္ ေစႏိုင္စြမ္း ရွိျခင္း၊ ကိုလက္စေရာကို ေလ်ာ႔ခ် ေပးႏုိင္စြမ္း ရွိျခင္း၊ ေရဓာတ္ကို ထိန္းသိမ္း ေပးျခင္းနဲ႔ အေရးေပၚ ေသြးေရၾကည္ သြင္းဖို႔ လိုအပ္ေနသူမ်ားကို ေတာင္မွ အုန္းရည္ျဖင္႔ အစားသြင္း ကုသေပးႏိုင္ျခင္း စတဲ႔ အုန္းသီးရဲ႔ အသံုး၀င္ အေရးပါပံုကို သိရွိသူမွာ လူအနည္းစု ေလာက္သာ ရွိပါတယ္. ေခတ္ေပၚ ေဆးသုေတသန ျပဳသူမ်ား ကလည္း အုန္းသီးဟာ က်န္းမာေရး အတြက္ အလြန္ အက်ိဳးျပဳ ေစႏိုင္ေသာ အသီးျဖစ္ေၾကာင္း ေလ႔လာ ေတြ႔ရွိရပါတယ္..
အုန္းသီးထဲမွ အုန္းရည္ဟာ လူ႕အသက္ကို ကယ္တင္ ေပးႏိုင္စြမ္း ရွိပံုနဲ႔ ပတ္သက္ျပီး အေကာင္းဆံုး သက္ေသ တစ္ခုကို ေျပာျပရမယ္ ဆိုရင္ ဒုတိယကမၻာစစ္ အတြင္းက ပစိဖိတ္ ေဒသ စစ္ပြဲေတြ မွာ စစ္သားေတြ အမ်ားအျပား ဒဏ္ရာ ရၾကတဲ႔အခါ အေရးေပၚ ေသြးသြင္းဖို႔ လိုအပ္ ေနေပမဲ႔ စစ္ေျမျပင္ ျဖစ္တာေၾကာင္႔ ေသြးရည္ၾကည္ ပုလင္းေတြကို အခ်ိန္မွီ ရရွိဖို႔ အခက္အခဲ ျဖစ္ေနခ်ိန္မွာ ဆရာ၀န္ေတြဟာ အုန္းသီး ႏုႏုထဲက သန္႔စင္တဲ႕ အုန္းရည္ကို ေသြးရည္ၾကည္ အစား ထိုးသြင္း ကုသျပီး အသက္ ကယ္ခဲ႕ရတဲ႔ ျဖစ္ရပ္ေတြ ရွိခဲ႕ပါတယ္. အုန္းရည္ဟာ လူခႏၶာကိုယ္ရွိ ေသြးရည္ၾကည္နဲ႔ ထပ္တူနီးပါး တူညီျပီး ေသြးအမ်ိဳးအစား အားလံုးနဲ႔ သင္႔ေတာ္တယ္လို႔ သိရပါတယ္. အုန္းရည္ဟာ ဓါတ္တိုးပစၥည္းပါ၀င္မႈ မ်ားျပားျပီး လူေတြကို အထူးအက်ိဳးျပဳေၾကာင္း ေလ႔လာ ေတြ႔ရွိ ရပါတယ္. အုန္းသီး အႏုတြင္ သန္႔စင္ ေကာင္းမြန္ေသာ မျပည္႔၀ဆီမ်ား ပါ၀င္တဲ႔ အတြက္ အုန္းသီးအရင္႔ထက္ စာရင္ အဆီ ပါ၀င္မႈနႈန္း နည္းပါးပါတယ္.. ထို႔ေၾကာင္႔လည္း က်န္းမာေရး အတြက္ စဥ္းစားျပီး အုန္းသီး တစ္လံုးကို ၀ယ္ယူမယ္ဆိုရင္ အုန္းသီးအႏုကို ရွာေဖြ ၀ယ္ယူ သင္႔တယ္လို႕ သိရပါတယ္.. အုန္းသီး အႏုအရင္႔ ေရြးခ်ယ္ပံုမွာ အုန္းသီးအႏုသည္ ခပ္စိမ္းစိမ္း အေရာင္ရွိျပီး အုန္းသီးအရင္႔မွာ အစိမ္းေရာင္ နည္းပါးျပီး အညိဳ ခပ္ေဖ်ာ႕ေဖ်ာ႔ အေရာင္ ရွိတတ္ပါတယ္..
အုန္းဆီရဲ႕ အျခားအသံုး၀င္ပံုမွာ ေျခာက္ေသြ႕ေသာ အေရျပားမ်ား အတြက္ အေကာင္းဆံုး moisturizer ျဖစ္ပါတယ္..
အုန္းဆီကို အေရျပားေပၚ လိမ္းျပီး ႏွိပ္နယ္ေပးပါက အသားပတ္ျခင္း၊ ေျခာက္ေသြ႕ျခင္း၊ အက္ကြဲျခင္းမ်ား မျဖစ္ေအာင္ ကာကြယ္ ေပးႏိုင္ပါတယ္.. အေရျပား တြန္႔ျခင္းကိုလည္း ေႏွာင့္ေႏွး ေစတယ္ လို႕ သိရပါတယ္. အုန္းဆီပါ၀င္တဲ့ အေရျပား ေစာင္႕ေရွာက္ ပစၥည္းမ်ား ျဖစ္တဲ့ ဆပ္ျပာ၊ အသားလွလိမ္းေဆး၊ လူးေဆးခရမ္စသျဖင္႔ အမ်ားအျပားကို ထုတ္လုပ္ ၾကပါတယ္.. ထိခိုက္ရွနာမ်ား အတြက္လည္း အုန္းဆီဟာ ေဆး၀ါးတစ္လက္ အျဖစ္ အေထာက္အကူ ျပဳႏိုင္ ပါေသးတယ္.. ဒဏ္ရာေပၚမွာ အုန္းဆီကို လိမ္းေပးျခင္းအားျဖင္႕ ျပင္ပမွ ဖုန္မ်ား ၊ ဘက္တီးရီးယားမ်ားနဲ႕ ဗိုင္းရပ္စ္မ်ား မ၀င္ေရာက္ႏိုင္ေအာင္ အလႊာပါးေလး အျဖစ္ ဖံုးအုပ္ ထားေစပါတယ္.. အုန္းဆီဟာ ဒဏ္ရာေပၚမွ ပ်က္စီးသြားေသာ တစ္ရွဴးမ်ားကို အျမန္ဆံုး ျပန္လည္ ေကာင္းမြန္ ေစႏိုင္စြမ္း ရွိေၾကာင္း သိရပါတယ္.. အုန္းဆီဟာ ဘက္တီးရီးယားမ်ား၊ ဗိုင္းရပ္စ္မ်ား၊ အေရျပားေပၚ ျဖစ္တတ္ေသာ မိႈမ်ား၊ စသည္တို႕ကို ထိထိေရာက္ေရာက္ ကာကြယ္ ေပးႏိုင္စြမ္း ရွိပါတယ္..
အုန္းသီးကေန ထုတ္လုပ္တဲ႔ အုန္းႏို႔၊ အုန္းမႈန္႔၊ အုန္းသီးဖတ္ စသည္ တို႔သည္လည္း အစားအေသာက္မ်ား၊ ဟင္းလ်ာမ်ား၊ မုန္႔မ်ား ခ်က္ျပဳတ္ရာတြင္ အသံုးျပဳ ၾကပါတယ္.. အခ်ိဳ႕ေသာ ႏိုင္ငံ မ်ားတြင္ အုန္းႏို႔မွာ ဟင္းလ်ာ အေတာ္မ်ားမ်ားတြင္ မပါမျပီး အသံုးျပဳၾကတဲ႔ အရသာထူးကဲ ေကာင္းမြန္ေစေသာ ဟင္းခ်က္ဖြယ္ တစ္မ်ိဳး ျဖစ္ပါတယ္.. ျမန္မာ ႏိုင္ငံတြင္ေတာ႔ ဟင္းခ်က္ရာတြင္ အသံုးျပဳမႈ နည္းပါးေသာ္လည္း ျမန္မာမုန္႔ ေတာ္ေတာ္ မ်ားမ်ားတြင္ အုန္းႏို႔ ပါ၀င္တတ္ပါတယ္.. အုန္းရည္မွာ က်န္းမာေရးအတြက္ အေထာက္အကူ မ်ားစြာ ျဖစ္ေစႏိုင္ေသာ္လည္း အုန္းႏုိ႔ႏွင္႔ ျပဳ လုပ္ေသာ အစားအေသာက္မ်ား အလြန္အကၽြံ စားသံုးပါက ေသြးတိုး ေရာဂါသမားမ်ားအတြက္ အလြန္အႏၱရာယ္ ၾကီးပါတယ္..
က်န္းမာေရးအတြက္ အုန္းရည္မ်ားမ်ားေသာက္ျပီး အုန္းဆီ မ်ားမ်ားလိမ္းလို႔ အုန္းႏို႔ကိုေတာ႔ သင့္တင္႔ရံုသာ စားၾကပါစို႔ေနာ္…. 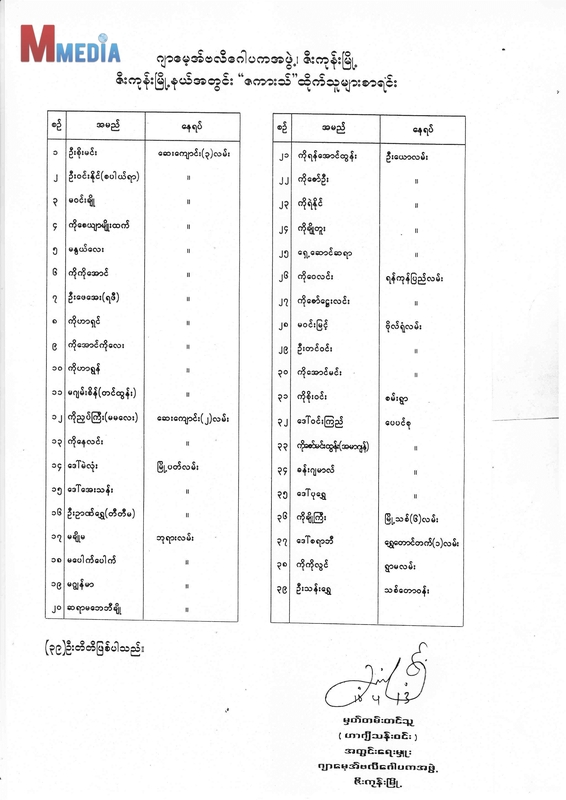 ေရးသားထားပါသည္) Maung Zarni shared Aungmyo Tun‘s photo. • What is the government doing as a plan to stop the violence (genocide) against the Burmese Muslims? • What will the government do in order to rebuild their homes and mosques and reviving their livelihoods? • Why have federal, state and local governments manifestly failed to protect Muslim citizens of Myanmar? Anti Muslim leaflets and pamphlets have been spreading throughout Myanmar since the escalation of the violence in Rakhine state that began in June last year (2012). During the period of the 20th to 28th of March 2013, 28 Mosques were burned down and thousands of Muslim homes destroyed by so-called “Buddhist” extremists. This is not a communal conflict – this is an attack against Muslim people, Myanmar’s pogroms. With no exception, the violence was overwhelmingly committed by the well-organized “Buddhist” mobs against Muslim families and communities, including children and babies. According to the UN, since the anti-Muslim violence erupted on 20 March the resultant displaced victims are estimated to be about 12,000, and the majority of them are Burmese Muslims. The attackers often use the slogan and logo of 969 which is a corruption of Buddhist teachings, incompatible with the Buddhist message of universal loving kindness. Burmese men in monks’ robes, who have been using Hitlerian tactics of e-mongering as they spread Islamophobia – they are Buddhist neo-Nazis. The attacks started in Meiktila, which had a long-standing and thriving Muslim community, and spread to other towns in Mandalay Division and Western Pegu Division. Thirteen towns were attacked and mosques and Muslim property were destroyed; 13,000 people were forced to flee from Meiktila alone. We estimate that 70 to 100 Muslim were killed during these anti-Muslim attacks. According to informationcollected on the ground, the state authorities and security forces present neither took adequate action nor provided leadership to try to stop the violence. According to eye witnesses, the attackers launched their assaults in full view of the police. The attackers were not local – they were brought in from outside and functioned as well organized mobs. There are multiple reports that in some areas, the attackers drove bulldozers during the assaults, which they used to maximize the destruction of houses and mosques. The President made a similar claim regarding the Rakhine violence last year. Yet the perpetrators of the violence against Muslims in Rakhine State have not been brought to justice. Peace has not get been restored and impunity to cause numerous forms of harm to Burmese Muslims across the country continues. As a matter of fact, the quasi-civilian government and security forces have decades of experience and significant expertise in information gathering and highly skilled intelligence staff. A most deeply disturbing aspect of the pogroms is the reported involvement of the State’s institutions, especially the law enforcement agencies including local civil administrations, security forces and the military. “I have received reports of State involvement in some of the acts of violence,” Tomas Ojea Quintana said in a statement. He also pointed to “instances where the military, police and other civilian law enforcement forces have been standing by while atrocities have been committed before their very eyes, including by well organised ultra-nationalist Buddhist mobs. 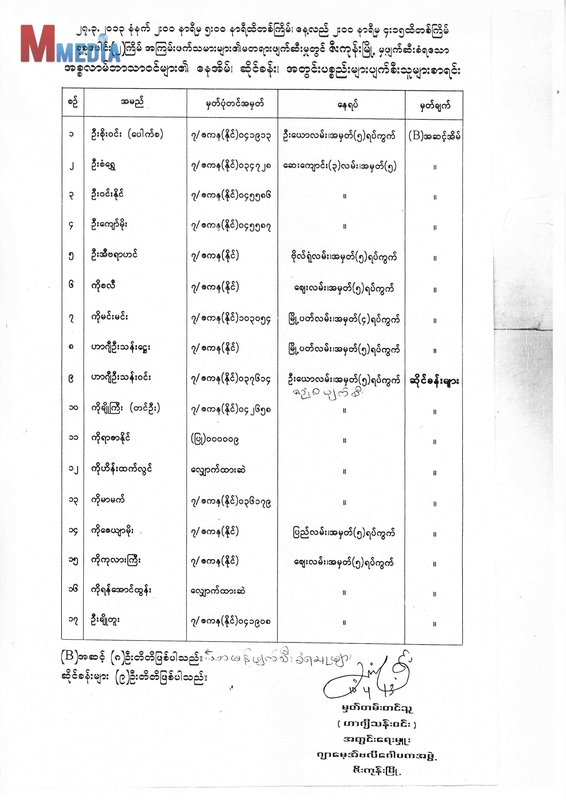 This raises some serious questions about Thein Sein government’s commitment to protect vulnerable religious minorities, most specifically the Muslims. 1. Why, nine months on from the violence in Rakhine State, have Buddhist extremist groups that preach and perpetrate violence against Muslims, including those responsible for the attacks in Rakhine State and members of 969, not been identified? 2. Why have their members not been arrested? 3. Why have they been allowed to continue with their campaign to disseminate verifiably malicious mis-information about the Burmese Muslims among the Buddhist majority? Many other questions also remain unanswered, such as, how did the attackers gain access to bulldozers? Who owns them? Who trained the attackers to drive them? In Myanmar, it is not easy for regular civilians to secure use of such equipment. Why are power and phone lines – both under the government’s direct control – typically cut off in the targeted Muslim neighborhoods before the violent attacks? This is not communal or sectarian conflict between Buddhist majority and Muslim minorities: it is series of one-sided, targeted violent and often lethal attacks against, their properties and businesses, which occur under the purview of sta te authorities – in other words, the Myanmar pogroms. (Bangkok, March 27, 2013) – The Burmese government is systematically restricting humanitarian aid and imposing discriminatory policies on Rohingya Muslims in Arakan State, Human Rights Watch said today. The government should permit unfettered access to humanitarian agencies to provide assistance to Muslim populations, end segregated areas, and put forward a plan for those displaced to return to their homes. Burmese government restrictions on aid to Rohingya Muslims are creating a humanitarian crisis that will become a disaster when the rainy season arrives,” said Phil Robertson, deputy Asia director at Human Rights Watch. “Instead of addressing the problem, Burma’s leaders seem intent on keeping the Rohingya segregated in camps rather than planning for them to return to their homes. It is vital that immediate action is taken to assist the victims of the anti-Muslim attacks that have occurred since March 20th throughout Myanmar. Thousands of people are now in serious need of immediate humanitarian assistance including shelter, medicine, clean water, food and protection from violent uprisings. Until now, there has been inadequate intervention by the either the military or the government to protect vulnerable communities and victims. There are wide-spread reports of inadequate policing and inadequate assistance to the victims. The national government is not supplying adequate protection, and the assistance of international agencies is critical to save lives. These attacks follow a precedent of anti-Muslim incidents in Myanmar, and are a clear violation of human rights. § In the city of Meiktila, Mandalay Division, anti-Muslim attacks and riots led to the destruction of hundreds of buildings and homes, vehicles and motorcycles, and Mosques. People were brutally beaten, attacked with machetes and burnt in the streets. It is estimated that 50 people were left dead after this incident. The murders include 28 children and 4 teachers taken from an Islamic School on March 21st. The security forces in the area did not protect the school, despite requests from Muslim organizations. There are now about 13,000 refugees in the area, many are seeking refuge in camps in Meiktila. Refugees are left without communication lines and are running out of food and water. § Reports of violence from many towns including Yamethin and Lewei close to the capital Naypidaw. Also, there have been attacks in 3 townships in the Bago region. § Anti-Muslim attacks reported in Pyay, Myanmar. Distribution of anti-Muslim propaganda including leaflets, anti-Muslim preaching in surrounding villages which a witness reports were played on loudspeakers distributed by a military truck. Muslims in this area were also threatened and told not to resist the destruction of their mosques or they would be in danger. § Ywe Su village in Tat Kon, Nay Payi Taw was attacked. There was a Mosque and 20 Muslim houses in this village. § In Kyopinkauk near Pegu, Muslim houses, shops, a Mosque and a religious school were attacked. There were approximately 400 Muslims in this town and 150 Muslim houses. § In Oak Kan, north of Yangon, “969” Buddhist monks were preaching anti-Muslim messages daily; the citizens fear attacks as there have been threats to Muslims in the area. Some attackers have threatened to burn the Panipin village which is a Muslim area. 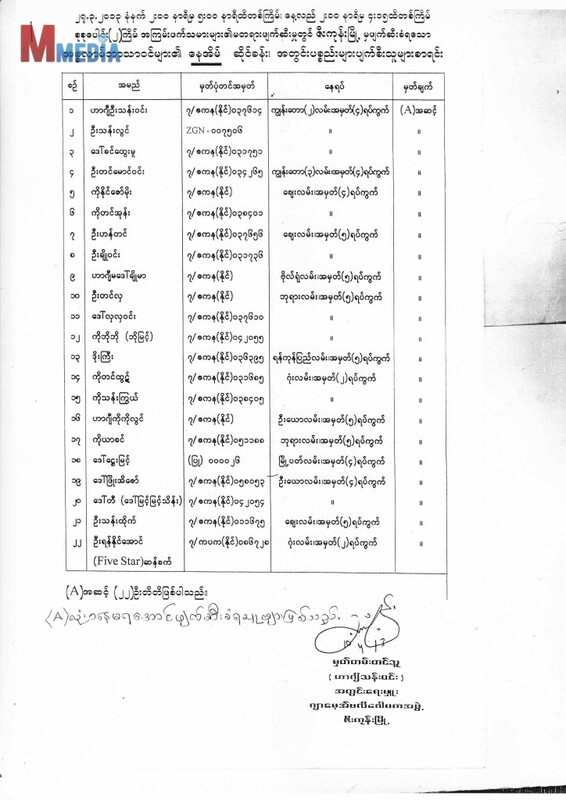 § In Minhla, Pegu Division 3 mosques were destroyed as well as Muslim owned houses, a café and a bicycle shop. 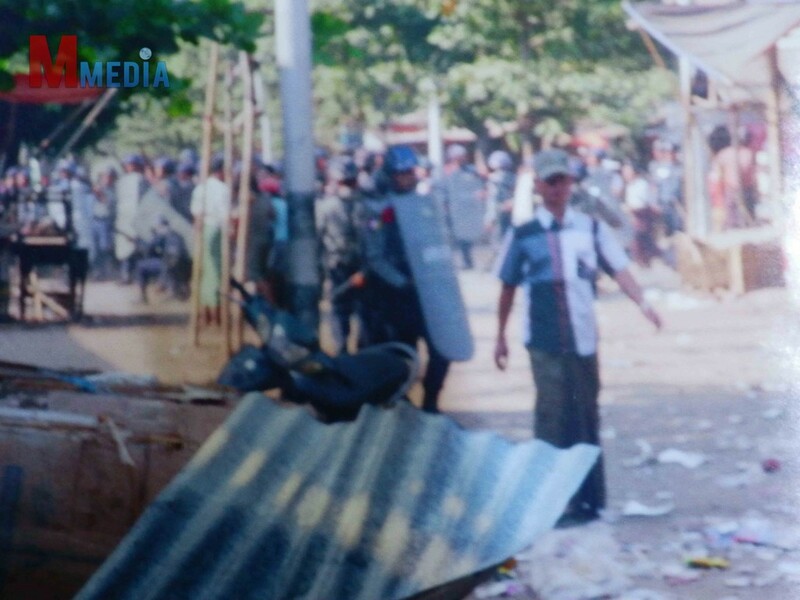 About 500 rioters came with weapons from Gone Su, Zigone Myo Thit. A mob raided Sit Kwin and destroyed properties. There were 3 mosques and about 100 Muslim houses in Minhla. 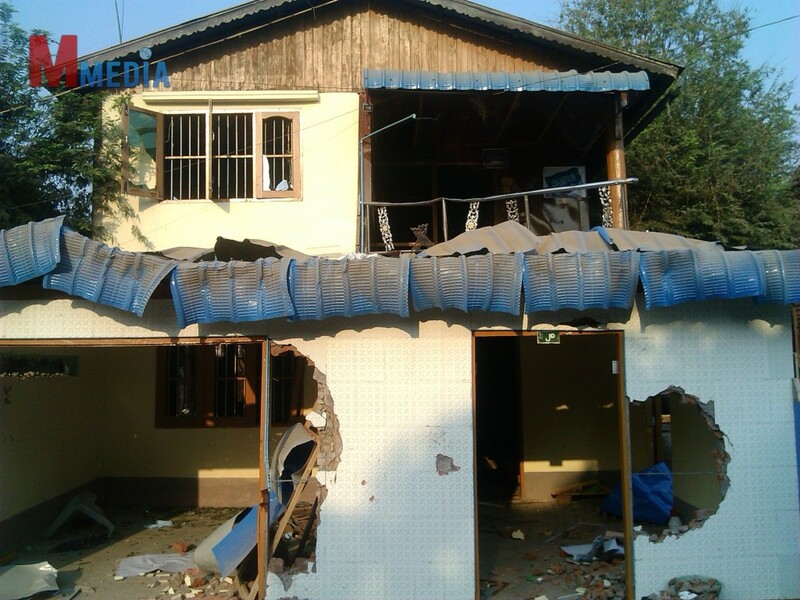 § In Zigon, Pegu Division, about 500 rioters destroyed a Mosque and many houses. § In Patigone, Pegu Division, attackers destroyed Muslim houses. § MoeNyo, Pegu Division. A Mosque was attacked. § An arson attack on the mosque on the 48th Street in Rangoon that resulted in the death of 13 Madrasa students. Government quick to announce the fire was the result of poor electrical wiring in the mosque while eyewitnesses saw people lobbing petrol-bombs into the building.